Jeff Bezos, 54, has a fortune that has soared as high as $160 billion thanks to his stake in Amazon, which again became Wall Street's most valuable company this week. . Bezos has credited MacKenzie for her support when he uprooted the young couple to Seattle from New York to launch Amazon. The couple has decided to divorce after a long period of "loving exploration" and trial separation, and expect to remain partners in ventures and projects, according to the joint statement. 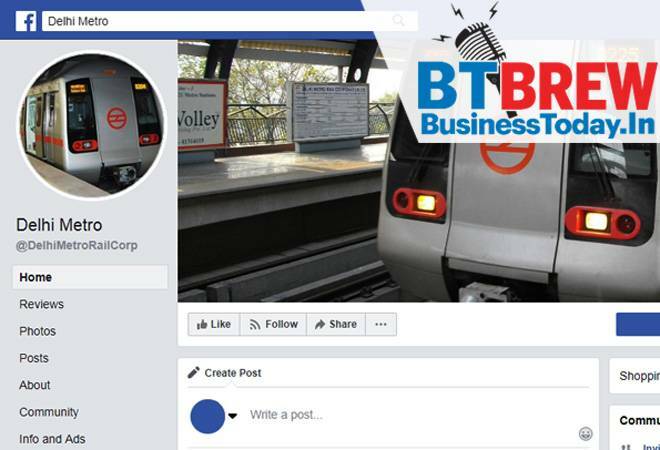 Commuters can now connect with the Delhi Metro on Facebook too, as the DMRC Wednesday opened its official account on the social networking site. A senior official of the Delhi Metro Rail Corporation (DMRC) said this was yet another step to reach out to riders and vice versa. Delhi Metro already has a Twitter handle and will soon be found on Instagram too. Yes Bank has finalised the potential candidates to replace Rana Kapoor as the Managing Director and Chief Executive Officer, a regulatory filing by the private lender said. Yes Bank said that it will present the names to the Reserve Bank of India for the approval of the central bank and will reveal the name of the selected candidate after that. Google is getting aggressive and plans to take on Alexa. The latter has sold 100 million devices with Alexa-on board till date. Whereas, Google expects Assistant to be available on one billion devices by the end of January, which includes smartphones, smart speakers, headphones, and other form factors. The company claims to have introduced the best of Google services and AI to the Assistant and is focused on building the most helpful digital assistant for home, car and on-the-go. The country will have to wait longer for its first engine-less semi-high speed train. The indigenously-built Train 18, which was set to be launched on December 25, has reportedly been delayed yet again due to an interdepartmental impasse, which failed to get resolved at yesterday's Railway Board meeting. All major telecom operators failed to comply with the quality of service benchmark during June-September 2018, according to a Trai report.Call drops were higher on Idea Cellular and Vodafone networks in some of the telecom circles during the period, the report showed. Idea breached call drop norms in Madhya Pradesh, UP West, while Vodafone network failed to meet criteria in UP East and UP West telecom circles.